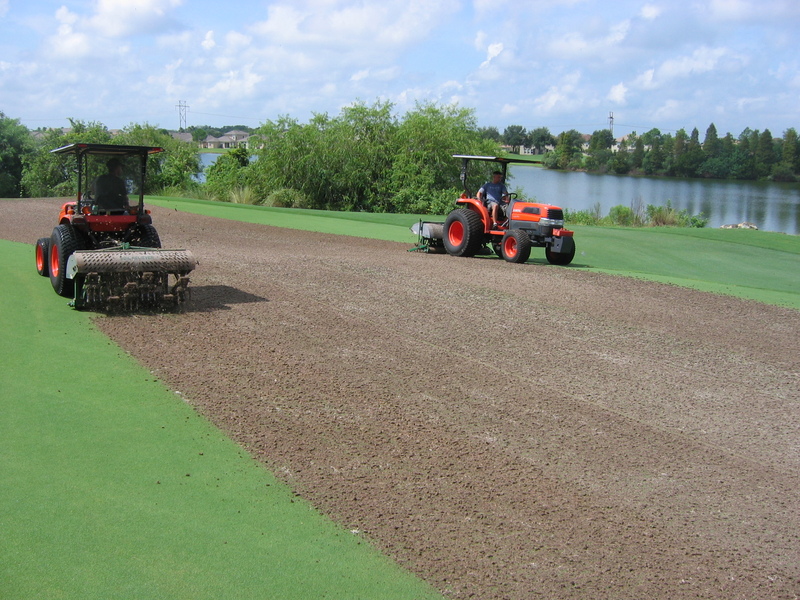 Our aerification services allow you to gain maximum long term agronomic benefit and meet short term play objectives. Choose from small to huge, core or solid aerification tines; small nimble machines for golf greens or large, powerful aerifiers for the toughest fairway or field conditions. 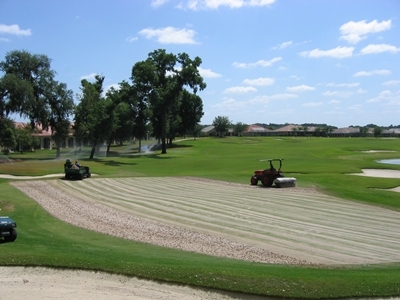 Golf courses, sports fields, equestrian venues and other fine turf areas throughout Florida rely on Aerification Plus. 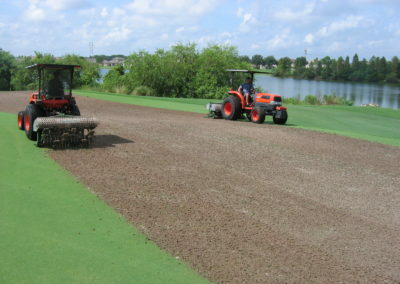 Aerification is our only business. Our team includes individuals with many years of experience as golf course superintendents, aerification specialists and persons trained in soil management. 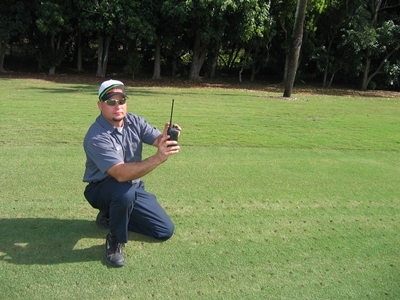 Our staff members are knowledgeable about and committed to proper aerification methods. We are large enough to have multiple crews at work in our service area with equipment in reserve to provide additional service in the event of mechanical or weather challenges. However, we are still small enough to effectively provide personal services targeted to the needs and schedule of each unique customer. 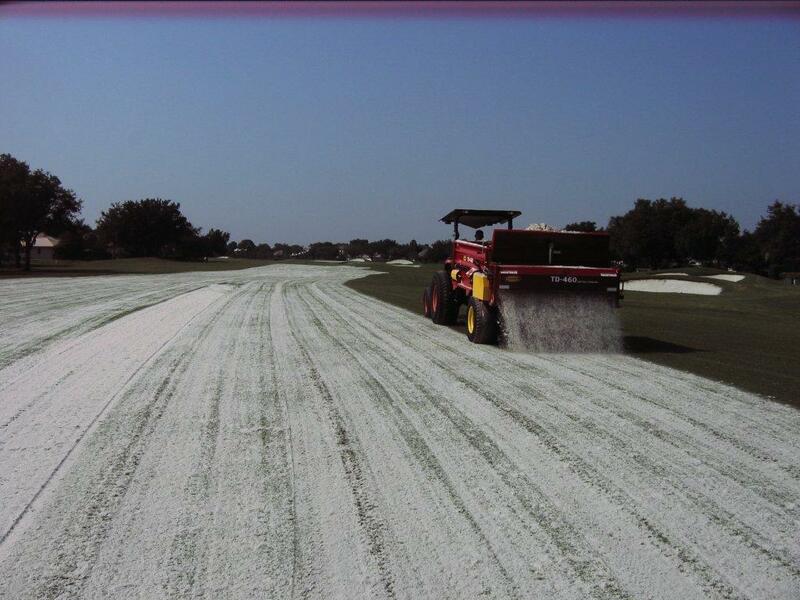 RELIEVE COMPACTION AND INCREASE INFILTRATION YEAR-ROUND WITH SMOOTH-POWER DEEP SPIKE AERIFICATION. 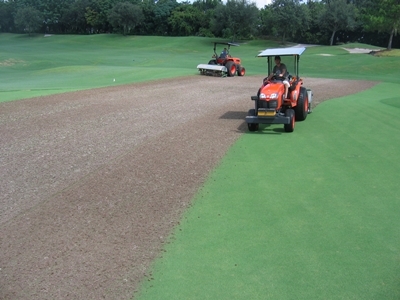 THE PLAYERS WILL IMMEDIATELY ENJOY A SMOOTH SURFACE UNAFFECTED BY THE SMOOTH AND POWERFUL AERIFICATION PROCESS AIMED INTO THE ROOT ZONE AND BELOW. SMOOTH POWER IS DESIGNED AND PERFECTED TO PRODUCE A SOLID VERTICAL STRIKE THAT CREATS A CYLINDRICAL SHAFT OF AIR DOWN THROUGH THE ROOT ZONE. 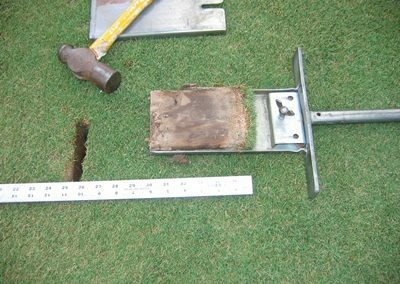 AT THE BOTTOM OF THE AERIFICATION SPIKE’S REACH, THE VERTICAL STRIKE FRACTURES SOIL EVEN BELOW THE COLUMN PRODUCED BY THE TINE. 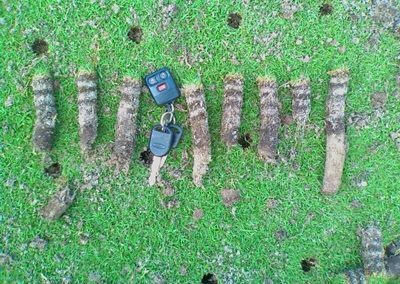 THESE FRACTURES EFFECTIVELY EXTEND THE LENGTH OF THE TINE STRIKE CONFERRING THE AMAZING BENEFITS OF AERIFICATION EVEN BEYOND THE REACH OF THE TINES. THE TURF MANAGER WILL NOTICE INCREASED INFILTRATION AND REDUCED COMPACTION.MANAGEMENT OPPORTUNITIES. 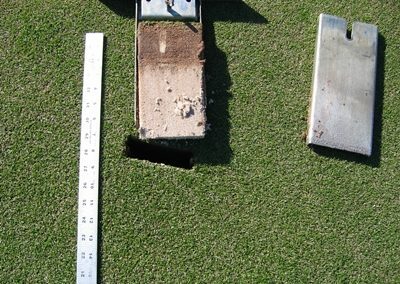 THE GREEN SURFACE WILL REMAIN INTACT AND WILL NOT BE OVERLY SOFT AS THE SMOOTH POWER DEEP SPIKE AERIFICATION IS AIMED BELOW THE SURFACE. HE PREMIER APPLICATION TO RELIEVE COMPACTION, INCREASE INFILTRATION AND IMPROVE GAS EXCHANGE ON GOLF COURSE GREENS. GIVE YOUR TURF THE BREATH OF LIFE DURING THE GROWING SEASON WITH SMOOTH POWER DEEP CORE AERIFICATION. 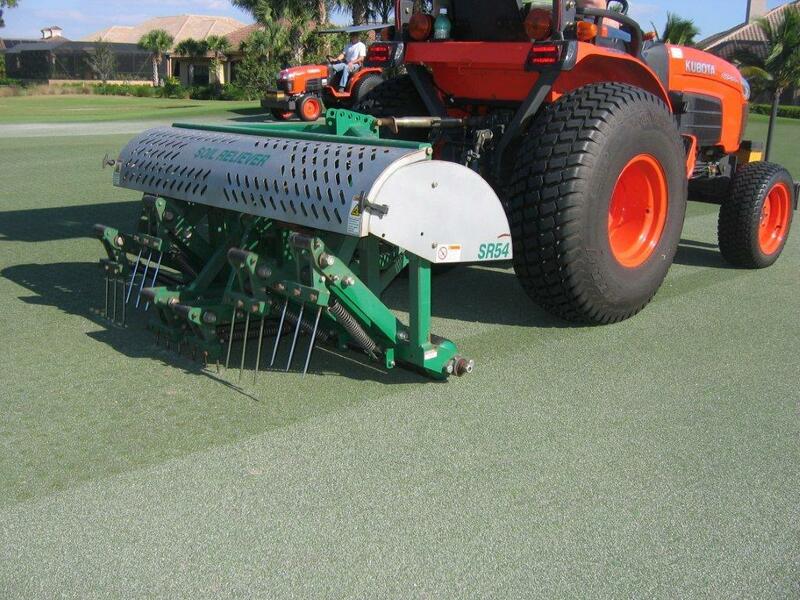 SELECT TINE AND MACHINE SIZE TO PROPERLY TREAT YOUR CONDITIONS. 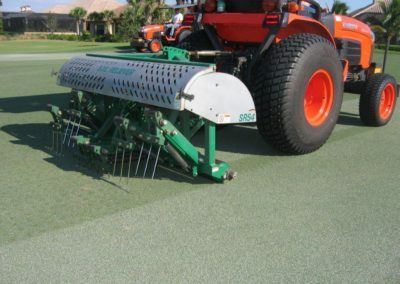 PROPRIETARY DESIGN DELIVERS VERTICAL STRIKE TO GIVE FULL DEPTH, MAXIMIZE COMPACTION RELIEF, CUT CRISP HOLES WITH CORING TINES WHICH ALLOW TOP DRESS TO FILL HOLES EFFECTIVELY. VERTICAL STRIKE MAINTAINS INTEGRITY OF PLAYING SURFACE AND MINIMIZE DISRUPTION TO PLAY SCHEDULE. 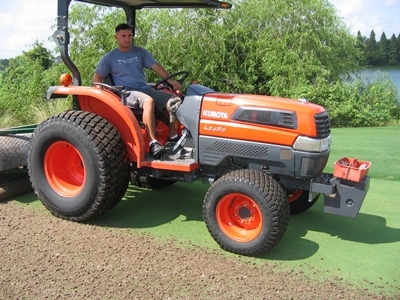 ATTACK SEVERE COMPACTION ON PROBLEM TURF AREAS WITH THE BEAST. USE THE BEAST TO HELP MANAGE COMPACTED PLAYING FIELDS OR GOLF FAIRWAYS. 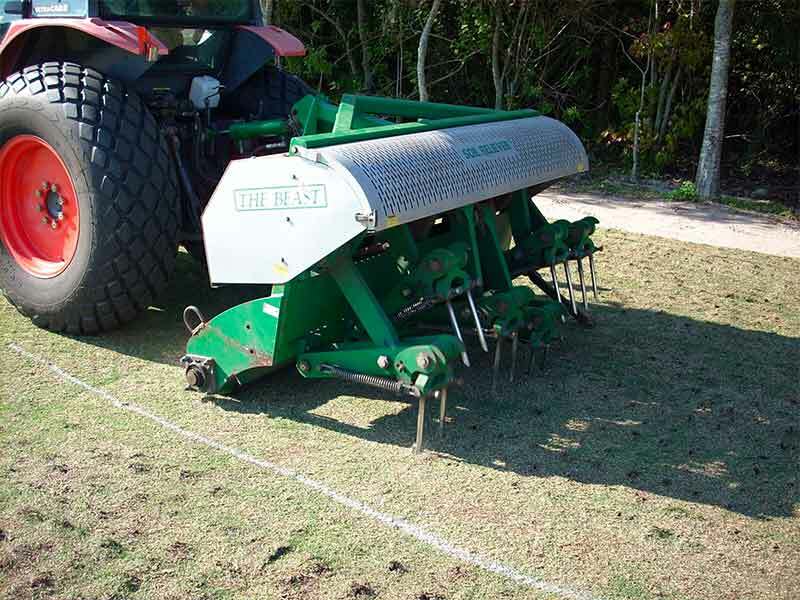 LIKE THE SMALLER MEMBERS OF THE SMOOTH POWER TEAM, THE BEAST IMPACTS THE ROOT ZONE WITH A POWERFUL VERTICAL STRIKE. 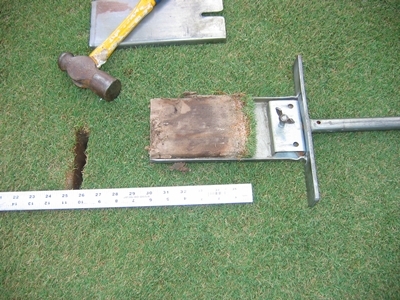 THIS VERTICAL STRIKE FRACTURES THE SOIL BELOW THE IMPACT REACH OF THE TINE. 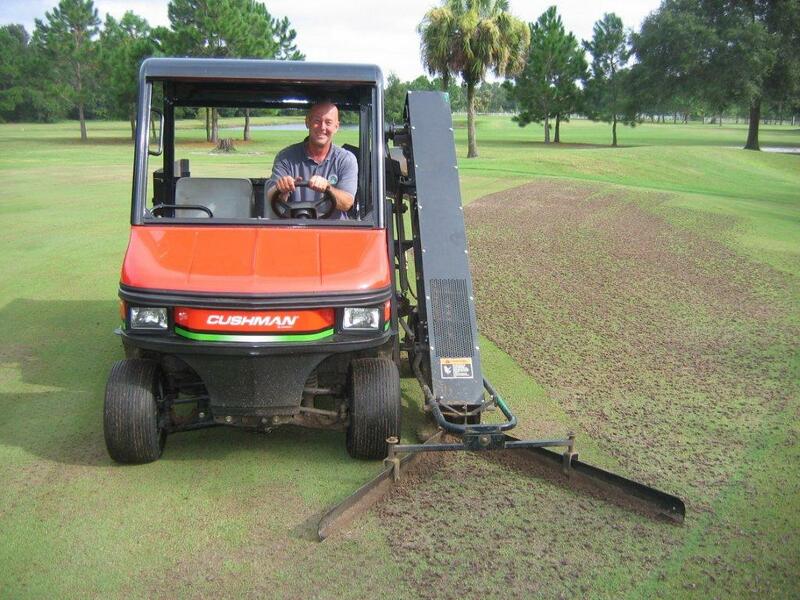 AN EFFICIENT AND CLEAN WAY TO REMOVE CORES AND SOIL FROM GOLF GREENS AND TEES. USE THE CORE HARVESTER SERVICE TO QUICKLY REMOVE CORES AND SAVE MANPOWER. 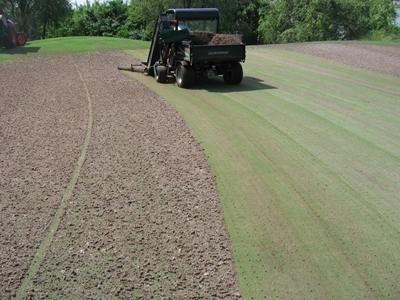 THE CORE HARVESTER WILL SAVE APPROXIMATELY 6 TO 8 MAN DAYS WORK FOR THE 18 HOLE GOLF COURSE. CORES CAN BE MOVED TO NEARBY STAGING AREAS OUT OF PLAY FOR EASY DISPOSAL OR USE. 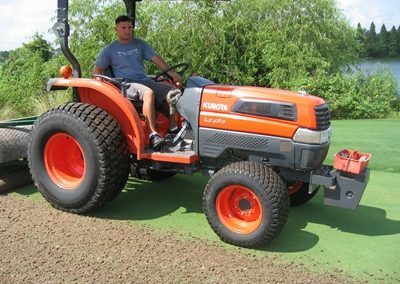 WHEN YOU NEED TO PUT DOWN A SERIOUS BLANKET OF TOP DRESSING ON YOUR FIELD OF PLAY THE TD 460 IS THE MACHINE FOR YOU. 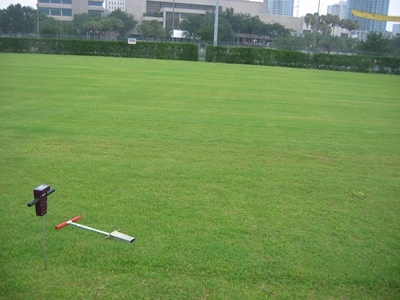 TRUE ¼ INCH OF MATERIAL MAY BE APPLIED IN ONE PASS. 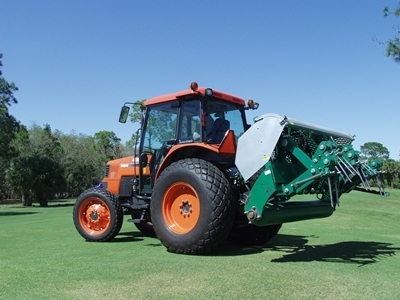 TREAT LARGE AREAS OF SPORTS FIELDS OR GOLF FAIRWAYS TO MANAGE COMPACTION WITH BIG DADDY. 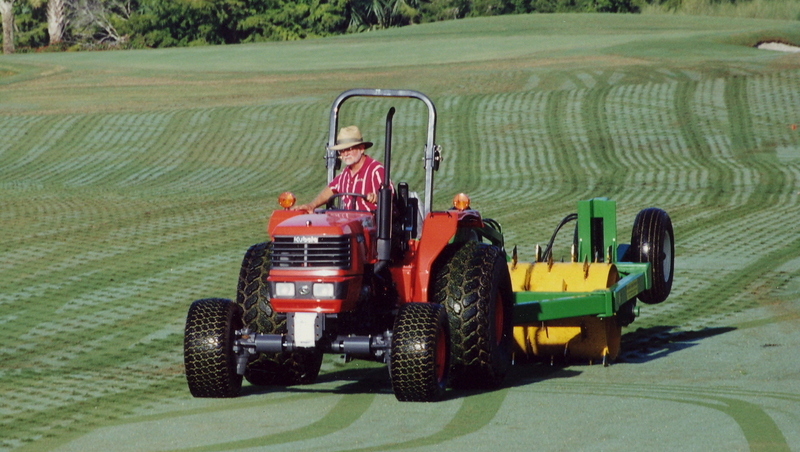 BIG DADDY DELIVERS SOIL LOOSENING STRIKES, DELIVERED BY 7000 POUNDS OF FORCE. AERIFYING BLADES ARE ALLIGNED WITH THE MACHINE’S DIRECTION OF TRAVEL TO PUT THE COMPACTION RELIEF POWERFULLY INTO THE ROOT ZONE WHILE MINIMIZING DISRUPTION AT THE SURFACE. 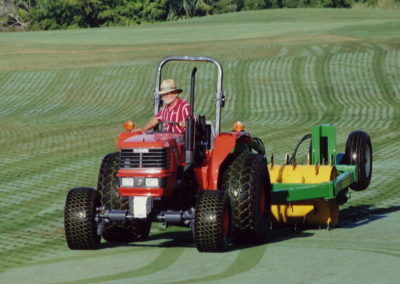 PLAY CAN RESUME IMMEDIATELY AFTER NORMAL MOWING. 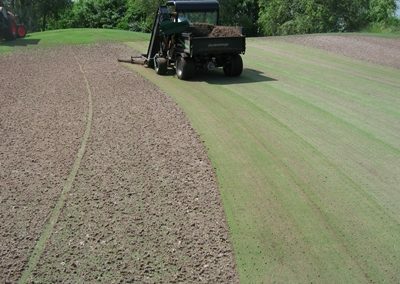 A process usually mechanical to loosen soil at varying depths to enhance percolation, introduce air into the root zone and allow efficient gas exchange. 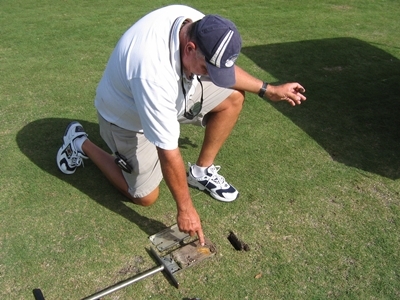 What is the "root zone"? 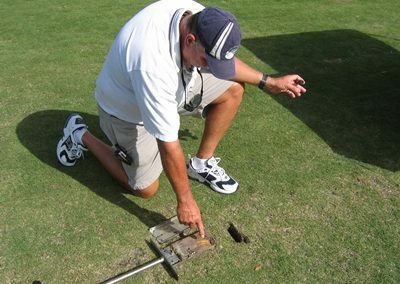 Why does the definition of "root zone" include an area below the level at which roots actually live? 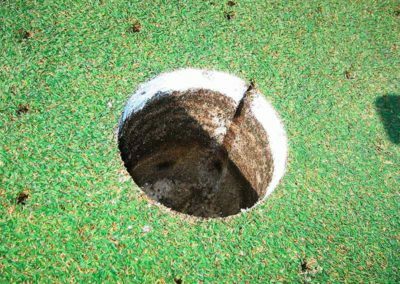 The root zone is the soil strata into which roots penetrate and the supporting levels below the actual extent of the roots. 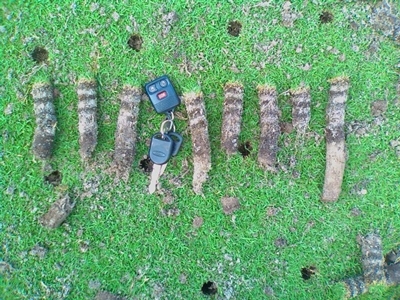 Why does an inadequate percolation limit root growth? 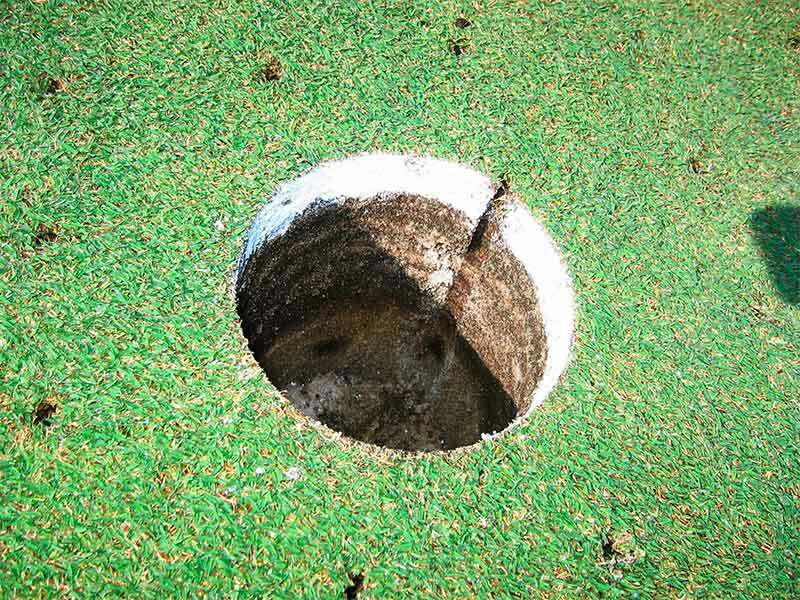 As water percolates through the root zone, air rushes to fill the open pore spaces that the water has vacated. 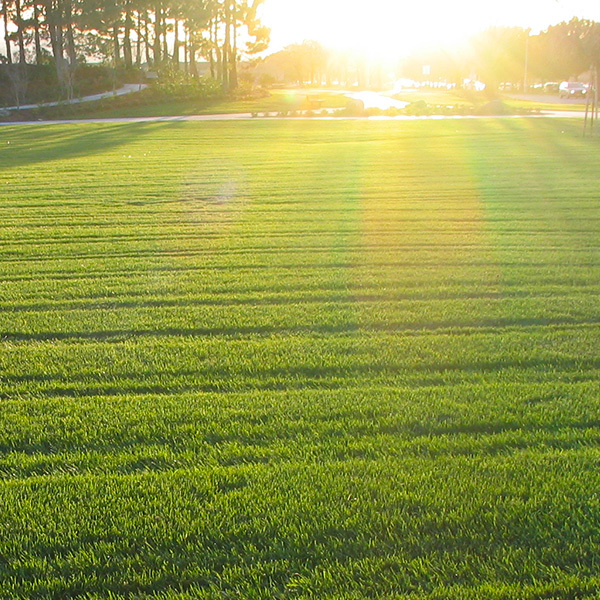 This fresh air, newly introduced to the root zone, is essential to root growth and health. 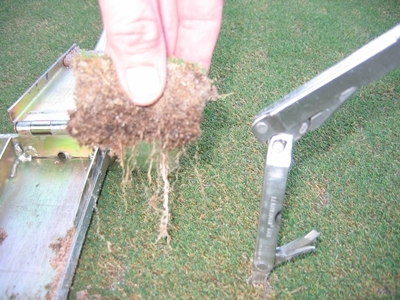 If percolation is inadequate the volume of air placed into the root zone is not sufficient for healthy roots. Layers of organic soil or compacted soil can limit percolation and air movement to the detriment of root growth. 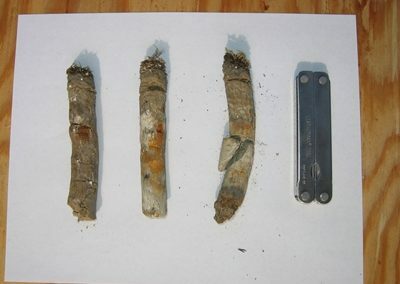 Under sever conditions these layers can cause water to virtually stop its downward movement, saturating the soil above the layer and forcing out the air necessary for growth. 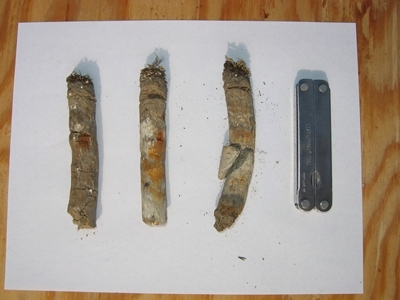 A living soil provides all the elements necessary for microbial life. Air and water movement to sufficient depth is essential for healthy soil. 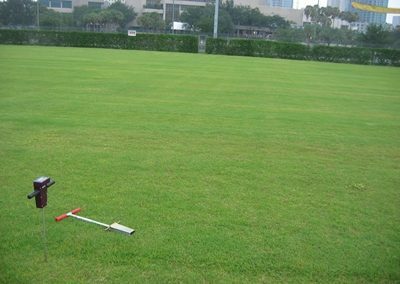 Field capacity is the amount of water held in a soil profile immediately after percolation has occurred. 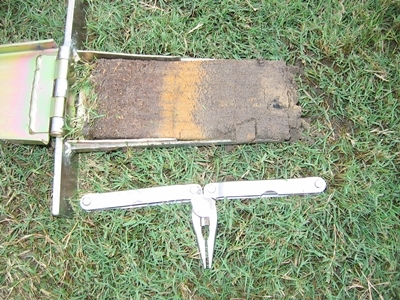 The amount of moisture held in the soil at field capacity is the upper limit of moisture available to the plant. 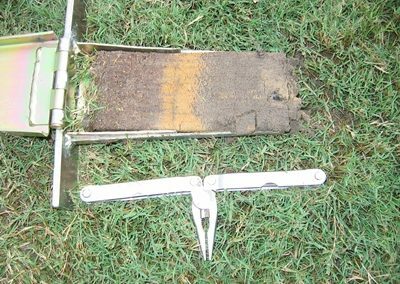 Plants can utilize the moisture held in the soil from field capacity until the moisture content is reduced to the wilting point. At wilting point the water in the soil is minimal and not generally considered to be plant available. 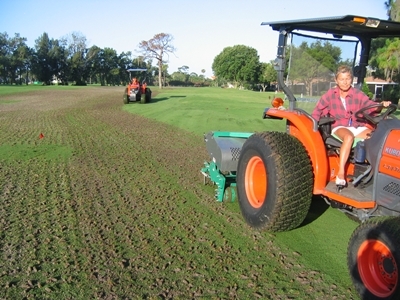 Under drought conditions, will aerification help or hurt? 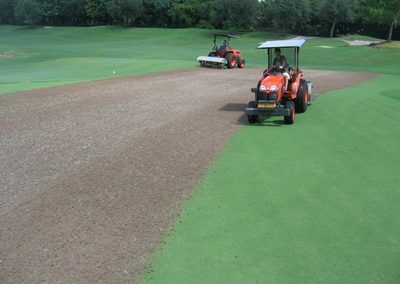 Certainly aerification will generally encourage some drying of the soil. 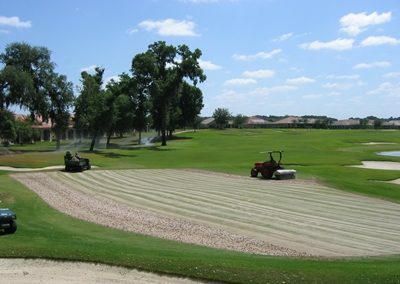 However, a properly aerified soil is likely to be more efficient in the uptake of irrigation and rainfall than a compacted and crusty soil. Water efficiently entering the soil will certainly be more beneficial to the plant that water subject to surface run-off. Copyright Aerification Plus, Inc. All Rights Reserved. Design by Web Contempo.